Craft in comfort with the Design Creative Bling Craft Upon. 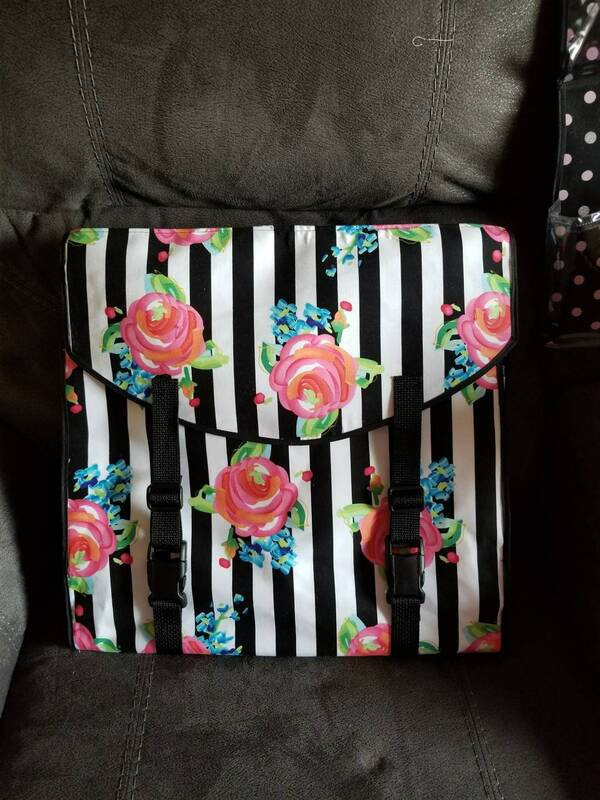 It unfolds from a back pack to a padded seat with storage for your crafting essentials. 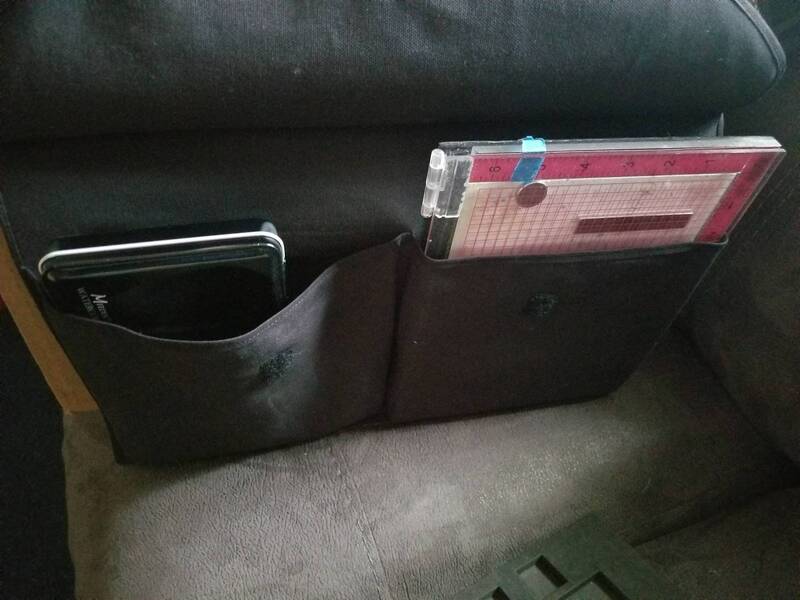 The side pockets keep everything in reach but off your work surface. 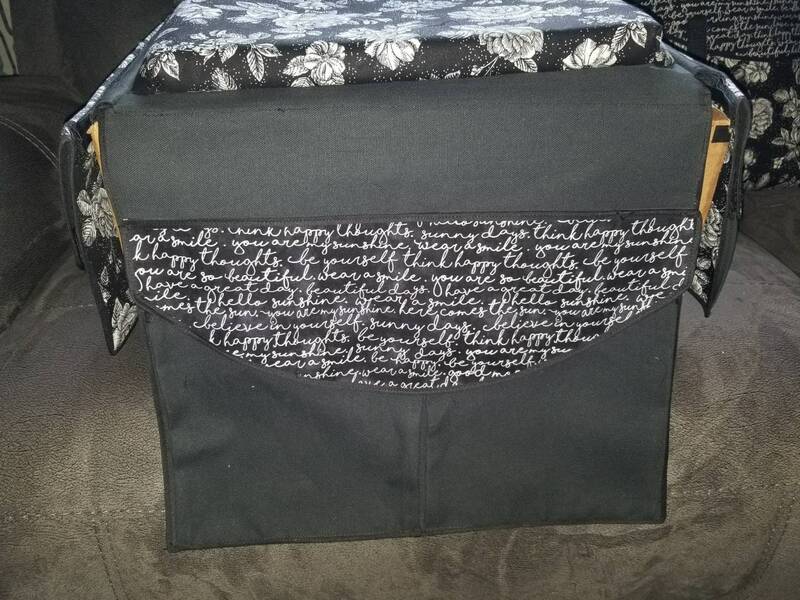 At the back are 2 large pockets that can hold 6x6 paper packs, mini MISTI or anything of similar size. 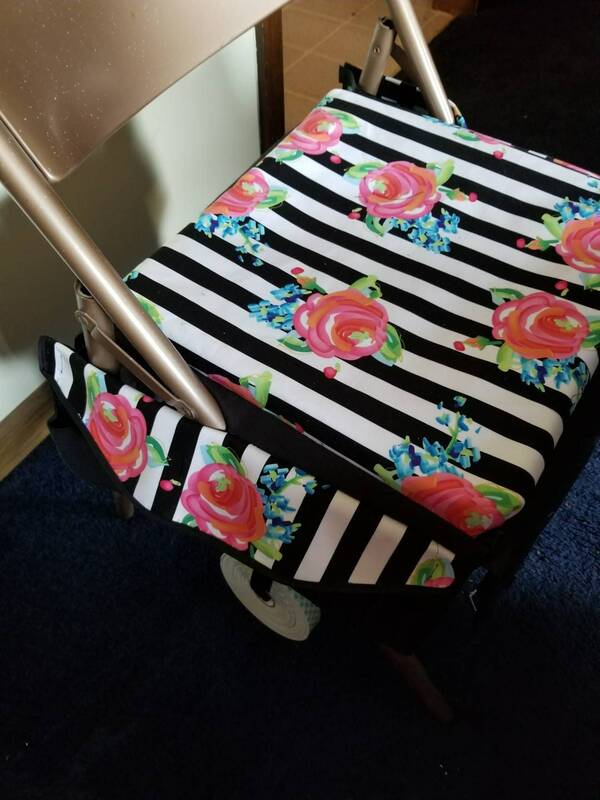 There are 2 zipper sections one if which can hold a travel paper trimmer. Last but not least the front flap has a section that can hold markers. All tools are not included.